Xiaomi has become the biggest smartphone brand in the country, primarily because of its ironclad philosophy of providing the best hardware for the most reasonable price. In recent times many of the companies have tried to do the same, but Xiaomi has had the most success. After the Redmi Note was introduced in India, the 4G revolution began not too long after. 3G was getting a lot slower as compared to 4G and therefore Xiaomi had to rethink its strategy. 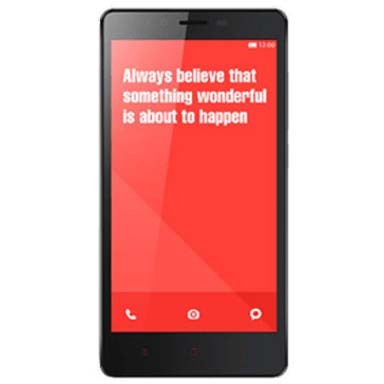 So they re-released the Redmi Note, but this time with 4G compatibility in one SIM slot. All the other specs for the smartphone remained the same - from the camera to the internal processors. It is the same strategy that Apple had tried with first gen and the third-gen iPhone - which only gained 3G capability over the earlier 2G compatibility. The Redmi Note 4G keeps all of the hardware specs and design elements of the Redmi Note, but packs in 4G. In 2018 however, a second hand Redmi Note 4G in this market is perhaps not worth a lot. More often than not, the Xiaomi branded devices are not meant to last as long as say, Apple iPhones. However, if you have a Redmi Note (4G) are, you may want to consider the latest Redmi Note 5 from Xiaomi. Before you upgrade though, you should trade your old Redmi Note 4G for cash and Cashify is the best place to sell old phones. Why Sell Your Old Redmi Note 4G On Cashify? Cashify’s algorithmically generated price quotes for your Note device will ensure you don’t need to worry about getting ripped off during your resale. Cashify has partnered with top brands in the country which obviously include Xiaomi, Apple, OnePlus and Samsung. Cashify will offer you the best price for your Redmi Note 4G. Just head over to the Cashify’s website and select the mobile phone category. Answer a few questions about your smartphone - such as the condition of the smartphone, warranty period etc. Cashify agents will arrive directly to your home, to inspect the device and hand you the resale value right there. Cashify is the most trusted platform in India to sell mobile phone and other gadgets online for instant cash on pickup. Schedule a pickup now!